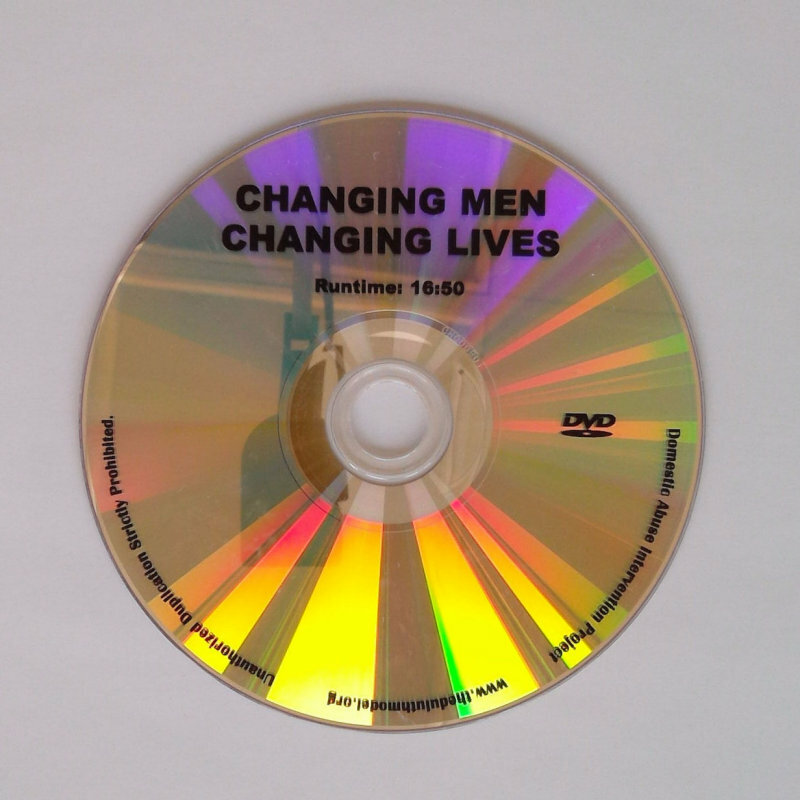 The Changing Men, Changing Lives program was created for working with Christian men. It is a supplement to the Creating a Process of Change for Men Who Battercurriculum. 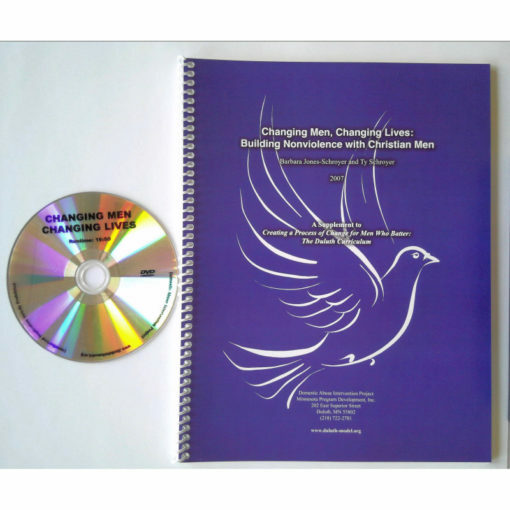 Building on our main curriculum, the supplement extends the foundation of our work on ending battering, while exploring partnership and Biblical equality. 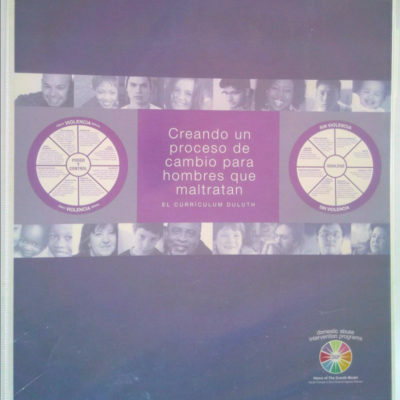 The supplement includes information on how to integrate a batterer intervention program within a coordinated community response, adapts the information on both the Equality Wheel and Power and Control Wheel to a Christian perspective, and has activities and exercises that help men become all they can be in Christ. The DVD has two parts. 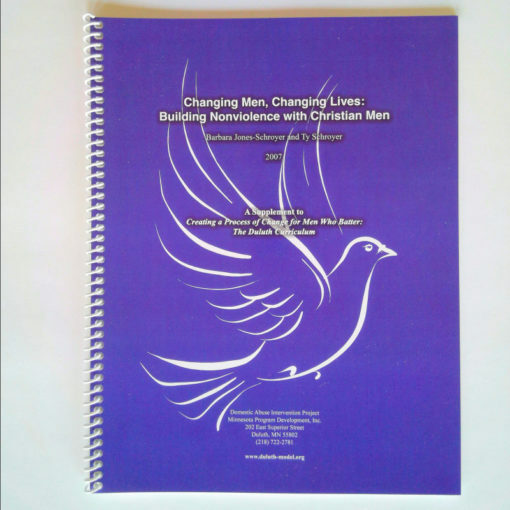 Part one highlights segments of a Changing Men, Changing Lives class and offers a window into facilitation using the principles of the training during a real class. Part two is the same class divided into segments for use as a teaching tool. 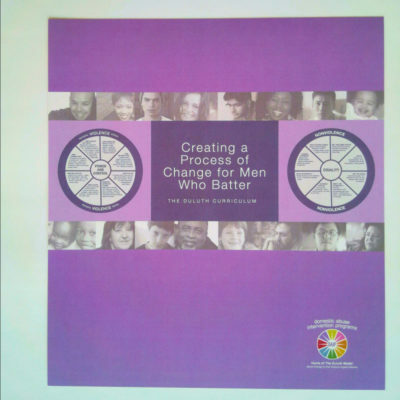 Facilitators can use these segments, such as “Headship and Partnership,” to start a discussion with men in much the same way our vignettes do in the Creating a Process of Change for Men Who Batter curriculum. You must send us proof of your ownership of the Creating a Process of Change for Men Who Batter curriculum in English or Spanish. 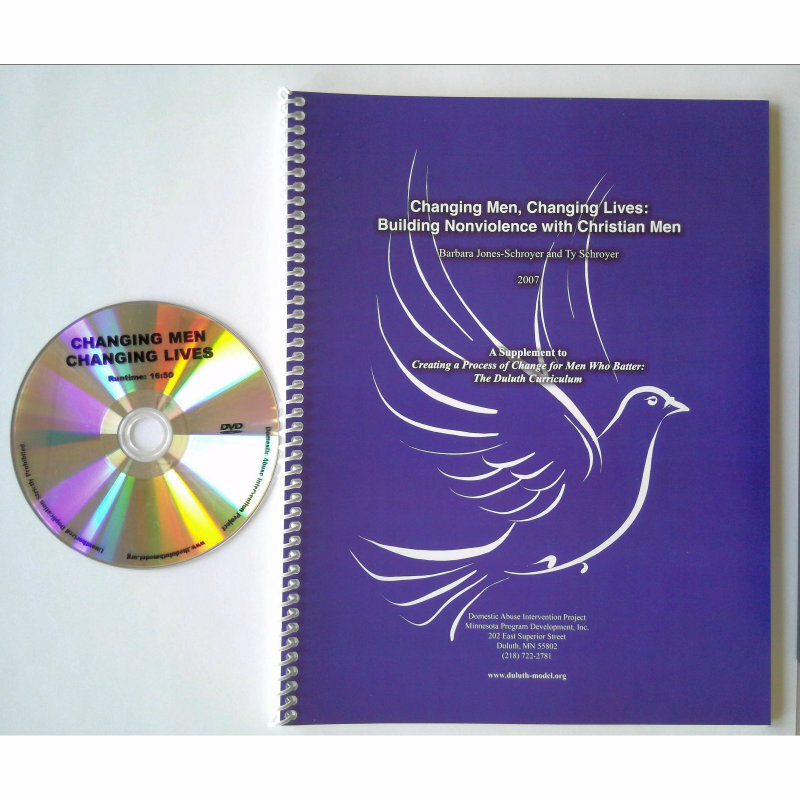 Including a photocopy of the Table of Contents or a DVD cover from the curriculum that you own in your mail order. Calling us at 1-866-417-6111, option 1, to see if your curriculum purchase is recorded in our training database.